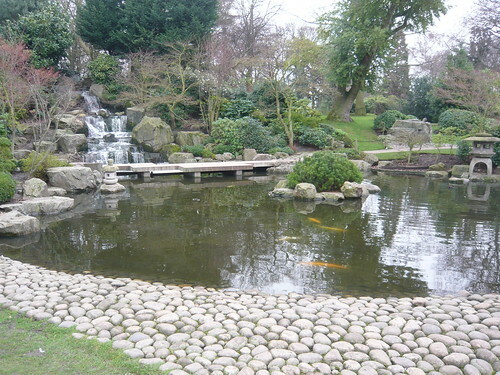 Holland Park has some Zen like features but fails my Zen test. 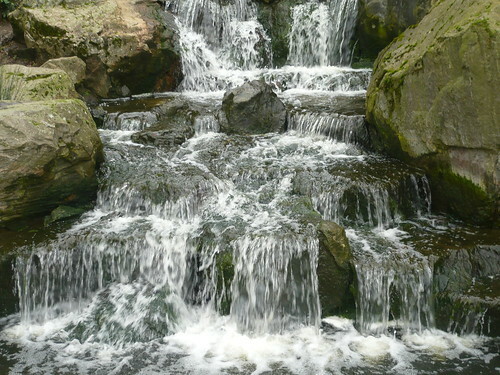 The classic elements of a successful Zen are stone, sand or gravel, water, plants and space. Then there is a question of balance between yin and yang. Cramped or cluttered gardens inhibit the flow of spirit so space is potentially the key ingredient of a Zen garden. 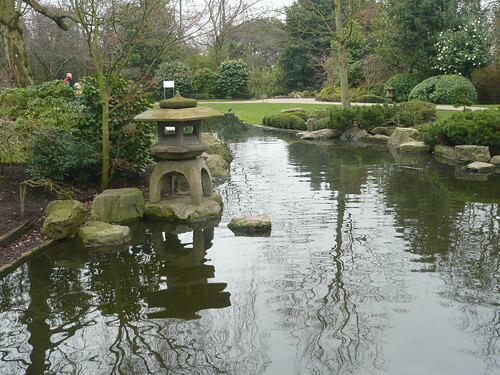 In Holland Park London not far from Notting Hill is a peaceful Japanese garden. 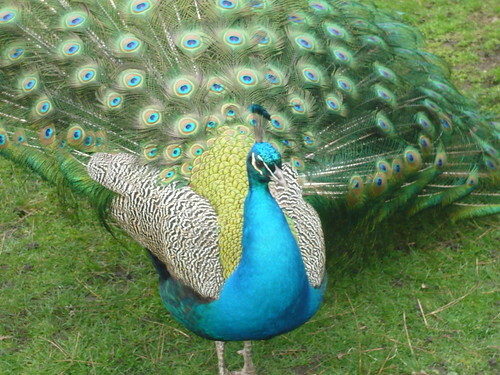 There are numerous features that can inspire your own plans although I draw the line at bringing in a dozen Peacocks to my plot. One feature I took note of was the beach effect for this pond. It allows birds and invertebrates easy access to the waters edge. Being in the process of installing another pond in my own garden I have built in a beach not dissimilar to this. I bought some butyl line with shingle already attached and shaped it to run down into a preformed pond. Needless to say my attempts are a miniature version of this pond which reflects the spectacular features surrounding the water. The Fish are too large to need to Duck but that comment was dropped in for my amusement. 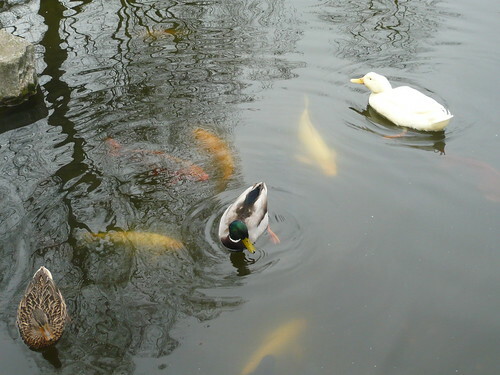 It shows what can be achieved with a large pond area. Further Information from the Borough of Kensington. ‘Holland Park is spread across 54 acres of what used to be the grounds of Cope Castle, a large Jacobean mansion hidden in the woods. It was built by Sir Walter Cope in the early 17th century, who became Chancellor of the Exchequer under King James 1. It was renamed Holland House after the Earl of Holland’s wife Lady Rich inherited the property.